The International Bureau of Education (IBE-UNESCO) launched the first postgraduate Certificate In Curriculum Design and Development for Central-East Europe Central Asia together with VMU in Lithuania on 28 November. This will be followed by UNESCO IBE’s first postgraduate Diploma for the Arab States in the United Arab Emirates (UAE) on 4 December. “VMU policies of citizenship, culture and education is inseparable from the core values of UNESCO, as a reaction to the ongoing changes and global economic, environmental and social issues. In order to prepare not only highly qualified specialists but also global citizens, higher education workers and educators face challenges of professional and personal competences”, VMU Vice-Rector for International Relations Prof. Ineta Dabašinskienė pointed out one of the issues which is hoped to be solved in collaboration with UNESCO IBE. The intention is to enhance competencies in understanding, leading, researching, planning, designing, implementing, monitoring and evaluating the curriculum, as well as in decision-making about curriculum and education in general. The methodology is highly interactive starting with compulsory face-to-face sessions – comprising workshops, roundtables, school visits and conferences animated by distinguished international and national experts – and online learning sessions and activities over a period of nine months. The Certificate for Central-East Europe-Central Asia is a partnership with Vytautas Magnus University, Kaunas, Lithuania within its existing Master’s in Educational Management. The first Arab Diploma in Curriculum Design and Development is a partnership between Hamdan Bin Mohammed Smart University (HBSMU) and the Section of Teacher’s Development (ED/ESC/TED). The curriculum is one of the most fundamental tools for bridging the gap between education and development. However, to date, there has been little normative guidance on what constitutes a well-balanced responsive curriculum at different levels of education. 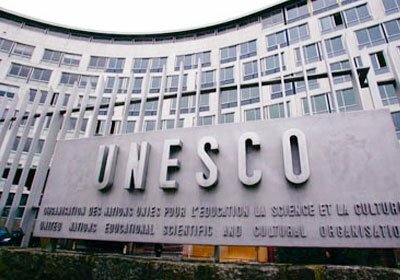 IBE-UNESCO is a global centre of excellence in curriculum, setting the standards and guidelines for what must be regarded as quality curricula. For countries to benefit from the true development value of the curriculum, there is a vital need to move beyond traditional concepts, where the curriculum is viewed simply as a collection of syllabi, study plans, and textbooks. IBE-UNESCO’s work with countries involves deepening the understanding and paradigm shifts in curriculum by working to explicitly articulate the developmental value of curriculum to democratize learning and to create lifelong opportunities for all.